Be the life of the party. Delve into the past, present and future for fun or profit with this ebook and a deck of playing cards. 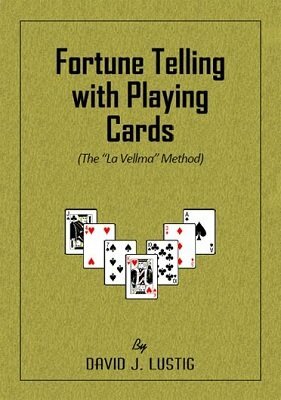 David J. Lustig, Dunninger's friend and confidante, reveals his "La Vellma" fortune telling with cards method. With this method and a few nights of practice you, too, can amaze your friends with entertaining "readings" of the past, present and future — all revealed by the cards. 1st edition ~1925, PDF 27 pages.